Wondering where you can have a family holiday trip or day out in south Florida? Riverbend Park is the place to be. The park is located in Jupiter, Palm Beach County, Florida. Fun activities are available for all ages. Here are some of the exciting activities you could carry out as you explore the 680 acres Riverbend Park. There are meandering paths for hiking. Walking through the scrub and under the canopies offers relaxation. The environment suits all interests and abilities. It is so natural and well maintained. Carrying a camera is recommended due to the rich variety of creatures and plants you can see. There are birds of different species, live oak, alligators in the river, deer and many others. The area is very safe and is marked with signs. There are bike trails of up to 10 miles. They are appropriate for multi-use and suit family bicycles perfectly. You could spend some hours or even a whole day cycling. You may opt to come with your own bike or rent them at the park. There are safety tips for guidance to ensure that you cycle safely in the park. If you prefer paddling to pedaling, there is the Loxahatchee River and the perfect location along the east. There is an 8.5 mile waterway just for you. If kayaks and canoes are new to you, beginners are well catered to. There is no age limit for the activity. Gear is provided for souls taking longer trips. Life vests are provided. You will come across swamps, raccoons, wading birds, turtles and alligators. You can rent your own canoe for you and your family. There is a fishing pier or you can fish as you canoe through the park. You can use live bait and get cool hits. Bring along your horse and enjoy about 7 miles of equestrian trails. Be sure to bring sunscreen for your skin’s health. Riverbend Park is indeed the place to be for a happy, healthy and natural exploration. 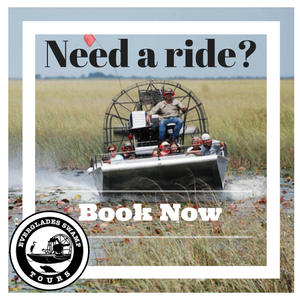 Stroll along the wild and scenic Loxahatchee River, visit the Cracker Farmstead, and picnic in the shade under a Seminole chickee. Hours: 7 days a week Sunrise- Sunset.